The Red Sox won the AL East. I said they were going to stink. I was wrong. And MAN I am glad to eat crow about THAT one. And I do eat crow on The Sully Baseball Daily Podcast. But the Pirates are making big mistakes, and none bigger than keeping Mark Melancon in the closer role. Recorded in a Ralph’s in Pasadena. Jon Lester, Torii Hunter, Matt Adams and Jordan Zimmermann all owned baseball on September 20, 2013. 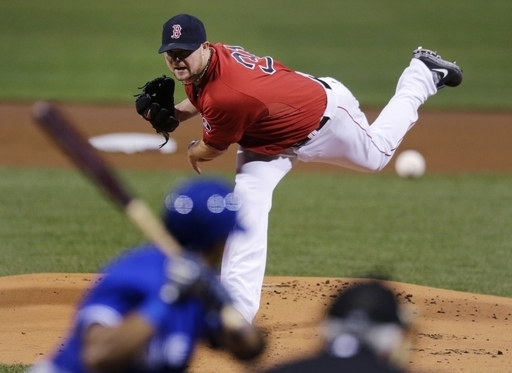 Jon Lester pitched 7 strong innings, giving up just 1 run and striking out 8 as he earned his 15th win, 6-3 over Toronto, and clinched the AL East crown for the Red Sox. Torii Hunter reached base 5 times, driving in 3 and scoring 2 as the Tigers moved closer to a Division Title with a 12-5 thrashing of the White Sox. Jordan Zimmermann earned his 19th victory this season for the Nationals by tossing a 2 hit, 9 strikeout complete game shutout of the Marlins, 8-0. Matt Adams got on base 4 times including a game tying single in the 7th and a go ahead homer in the 9th as the Cardinals won a wild game in Milwaukee, 7-6. They all owned baseball on September 20, 2013.